Do You Know How to Disinfect Organically? Soap and water cleaning is good at removing most germs from surfaces, properly disinfecting can effectively kill germs. The kitchen, bathroom, and nursery area should be kept in mind. Vinegar is the go-to product when it comes to disinfectants. Add a little hydrogen peroxide in a dark colored spray bottle and store in a dark place and you are ready for any job. This mixture is very effective at destroying salmonella and ecoli bacteria. You can also mix vinegar and baking soda to in the dishwasher and this is a good way to remove streaks. Click here to learn how to make an organic cleaning product. All the bending over while your cleaning, you act like you can just grab a spare back off the shelf. You wish. Purchase a no-bend dust pan. A dustpan with a long handle will help minimize the amount of bending over you will have to do during cleaning. To learn how to make your own cleaning solution, visit our post "10 Ingredients In Homemade Cleaners". 1st Green Clean - A Leader in Home Management Services is here to services your home management needs. 1st Green Clean prides itself as a premier leader in residential home management services for both large and small homes. Because 1st Green Clean is a luxury service provider we accept 120 appointments each year. 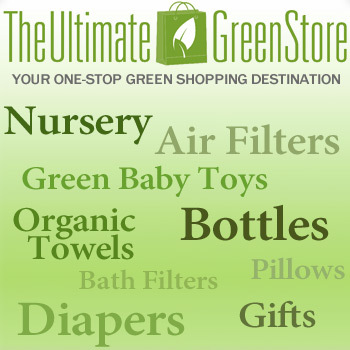 With 1st Green Clean we have an exclusive and limited clientele. When you invest in a home, you want a service provider that invests time in managing your home service needs, on-site team supervisor, complementary consultation, and the security of reliable service. Facial Scrub: Mix baking soda with oatmeal, lemon juice, orange juice or honey for a DIY face-mask to cleanse and moisturize (with honey). Tooth Whitening: Sprinkle baking soda onto your toothbrush, then brush normally for whiter teeth and fresh breath. Mouthwash: Mix two teaspoons of baking soda with one cup of water for DIY mouthwash. Shampoo: Skip the expense and chemicals of store-bought shampoo by making your own. Mix one tablespoon of baking soda for every eight ounces of water, and put in a bottle of your choice. Shake until thoroughly mixed, then use in place of your regular shampoo. Exfoliate: Mix baking soda with water to form a paste. Spread on your body wherever you would like to exfoliate. Clear Acne: Make a paste of baking soda and water, then place on acne to gently dry it out. Wash off after five to 10 minutes, depending on the sensitivity of your skin. Soften Skin: Pour baking soda into your bath for clean and soft skin without chemical filled cosmetics. Soothe Skin: To calm itchy or burning skin, make a paste of baking soda and water, then apply to the affected area. Allow to sit for five to 15 minutes, depending on your skin’s sensitivity, then wipe away with a damp cloth. Antacid: To fight heartburn and indigestion, mix one teaspoon of baking soda with one glass of water. Sip until your stomach is calmed. Using baking soda around your home is an easy way to replace expensive and potentially dangerous chemical cleaners and chemical filled cosmetics. Try replacing some of your current products and enjoy the many benefits baking soda. Visit our website to see all the luxury services we offer and to schedule your complementary home evaluation. If you don't like the smell of the tea tree oil, you may want to use lavender. Lavender-scented cleaning products give you the added benefit of calming and mood-lifting aromatherapy. A few drops in the vaporizer to fight colds and infections. You can dilute with water and make an antibacterial spray. Lead poisoning occurs when lead builds up in the body, often over a period of months or years. Even small amounts of lead can cause serious health problems. Children under the age of 6 are especially vulnerable to lead poisoning, which can severely affect mental and physical development. At very high levels, lead poisoning can be fatal. Lead-based paint and lead-contaminated dust in older buildings are the most common sources of lead poisoning in children. Other sources include contaminated air, water and soil. Adults who work with batteries, home renovations or in auto repair shops also may be exposed to lead. While treatment is available for lead poisoning, some simple precautions can help prevent it. SymptomsInitially, lead poisoning can be hard to detect — even people who seem healthy can have high blood levels of lead. Signs and symptoms usually don't appear until dangerous amounts have accumulated.